Fuel prices have stabilized somewhat, but paying upwards of $3 per gallon takes its toll when traveling. Whether your trip is for business or for pleasure, there are several super-efficient cars to get you there (and back) without busting your travel budget. This midsize sedan boasts 22 mpg in the city and a generous 35 mpg on the highway. With 138 horsepower, travelers have no trouble passing other vehicles or pulling out into busy roadways. 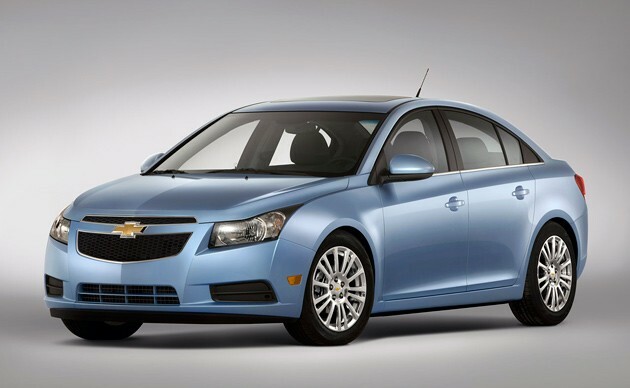 The Cruze offers tons of space and lots of safety features, plus an impressive six-speaker audio system featuring connections for MP3, Bluetooth, USB, and an auxiliary jack. The six-speed manual gets the best fuel mileage, but the automatic isn’t shabby, boasting 26 mpg in the city and 37 mpg on the highway. For convenience, when carrying lots of cargo, it offers a 60/40 split folding rear seat. Offered in both a sedan and a four-door hatchback, this Mazda offers 29 mpg in the city and 41 mpg on the highway. More aerodynamic than its predecessors, it packs 155 horsepower from the four-cylinder engine and comes in a six-speed automatic. The audio system includes an MP3 connection and Sirius satellite radio, and it provides six air bags and stability and traction control for safety. The Focus SFE is a sedan, and also comes in a five-door hatchback version. It achieves 26 mpg in the city and 36 mpgh on the highway. The Focus packs 160 horsepower for easy traffic maneuvering and navigating steep hills, with a comfortable six-speed PowerShift automatic transmission. The MyFordTouch hands-free system allows easy access to traffic reports, driving directions, and other information. Before booking your Ford Focus rental, find discounts on rental cars online for the best price. The Civic comes in both coup or sedan styles, and gives back a lot for the fuel it consumes with 29 mpg in the city and 41 mpg on the highway. The Civic also comes in hybrid and compressed natural gas versions for the eco-friendly driver. With motion adaptive electric power steering and the Eco Assist feature, it’s easy and fun to drive. The 140 horsepower is adequate for most driving situations, but the Si performance model packs even more. The Civic features an easy driving five-speed automatic transmission. Hyundai has made great strides in terms of quality over the past few years, making it a viable option for both buyers and car rentals. The Accent comes in a sedan and five-door hatchback, offering 28 mpg in the city and 37 mpg on the highway. For safety, it provides six air bags, as well as stability and traction control and active front head restraints. For a subcompact vehicle, it offers generous cargo space with a five-door configuration. At 138 horsepower, most traffic and uphill situations are easily manageable, and it comes in both manual and automatic transmission choices. The best part of these fuel-efficient cars might be the price. Many of these vehicles sell for less than $20,000, making them affordable options for both the buyer and the car rental. For travel, these vehicles are generally fun, zippy drives with adequate (sometimes generous) cargo space and comfortable leg room for both front and back seat riders.